Dinner was quick and easy tonight. 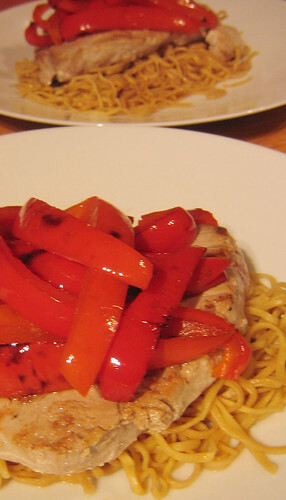 Seared tuna steaks with sliced peppers and noodles dressed with a soy sauce, toasted sesame oil and chilli oil dressing. Next Post What makes a good cookbook?